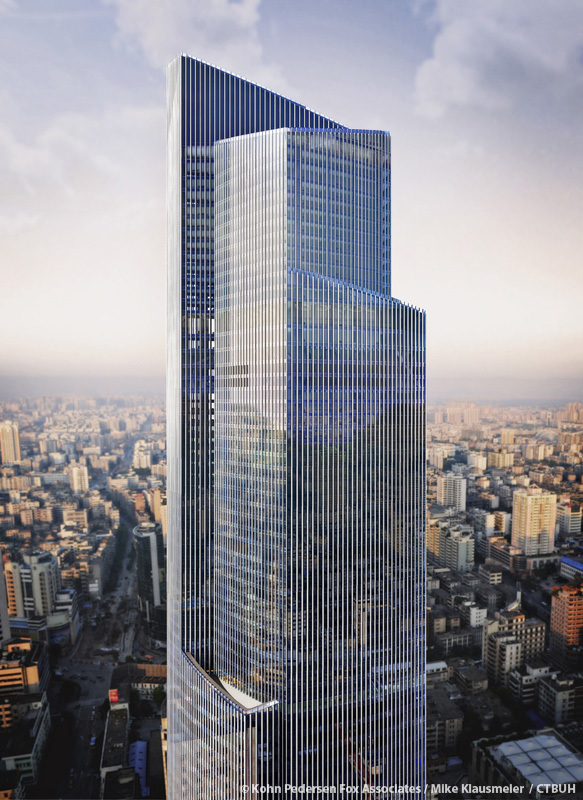 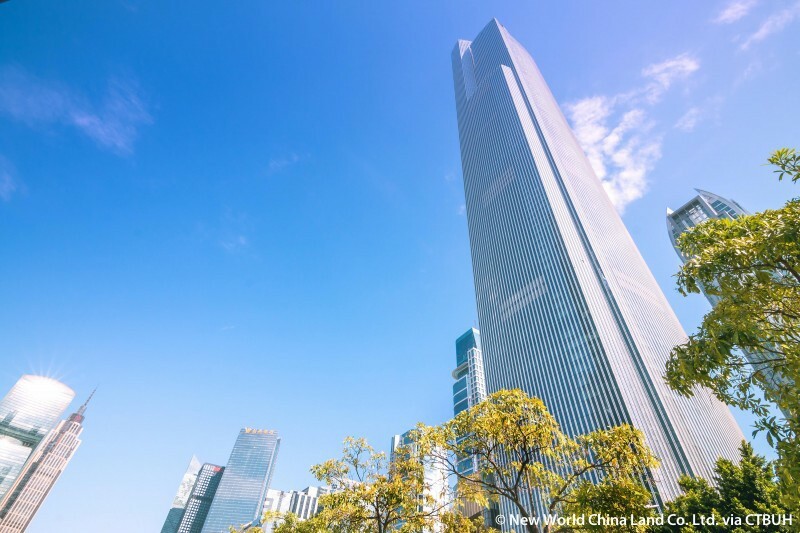 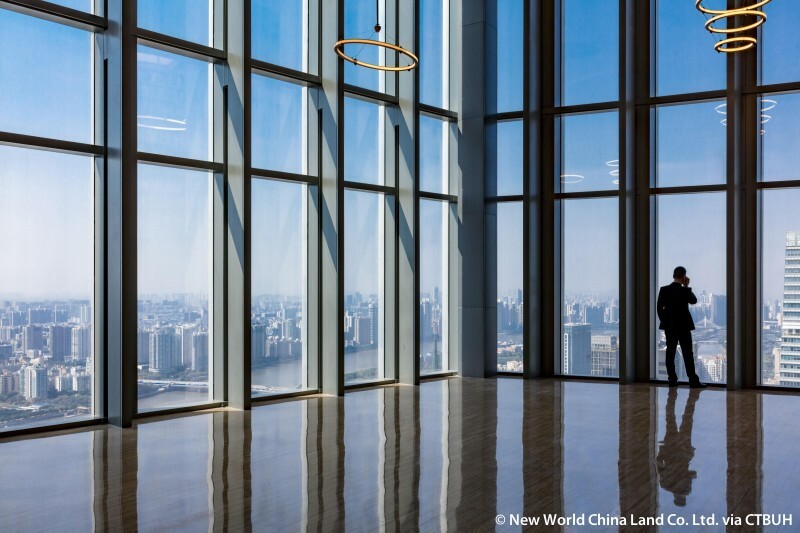 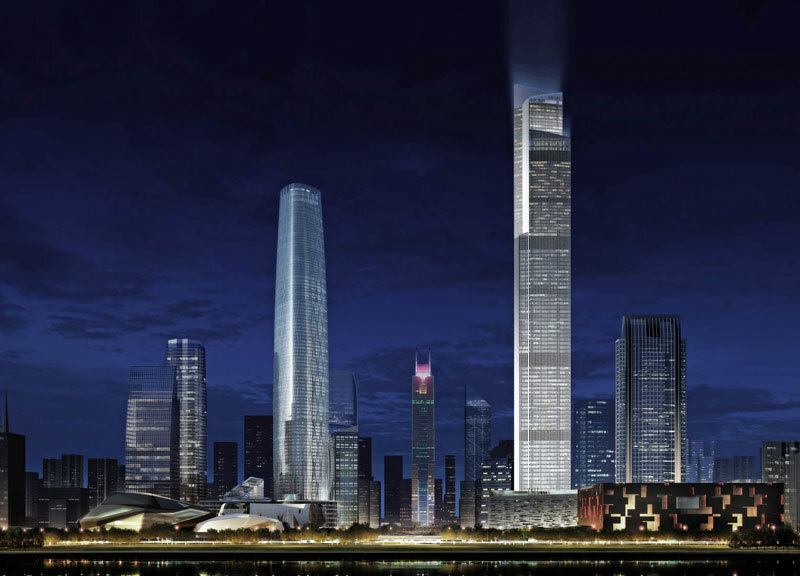 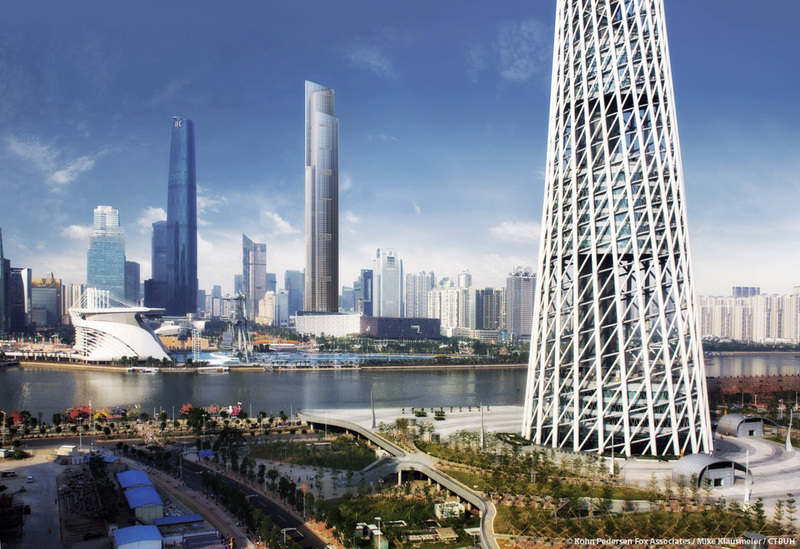 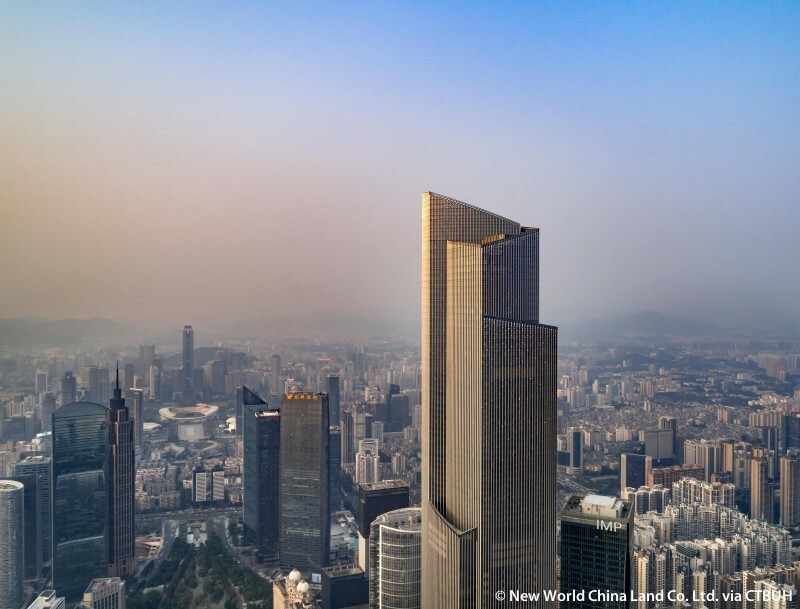 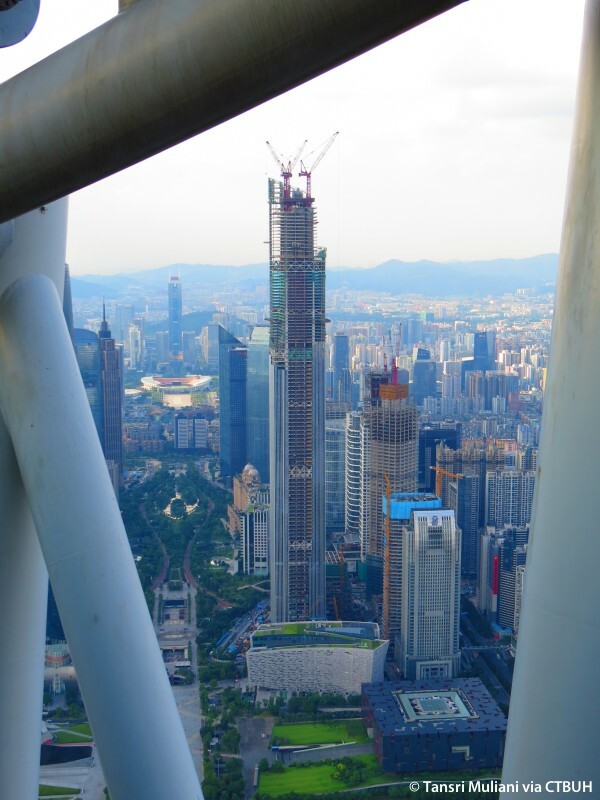 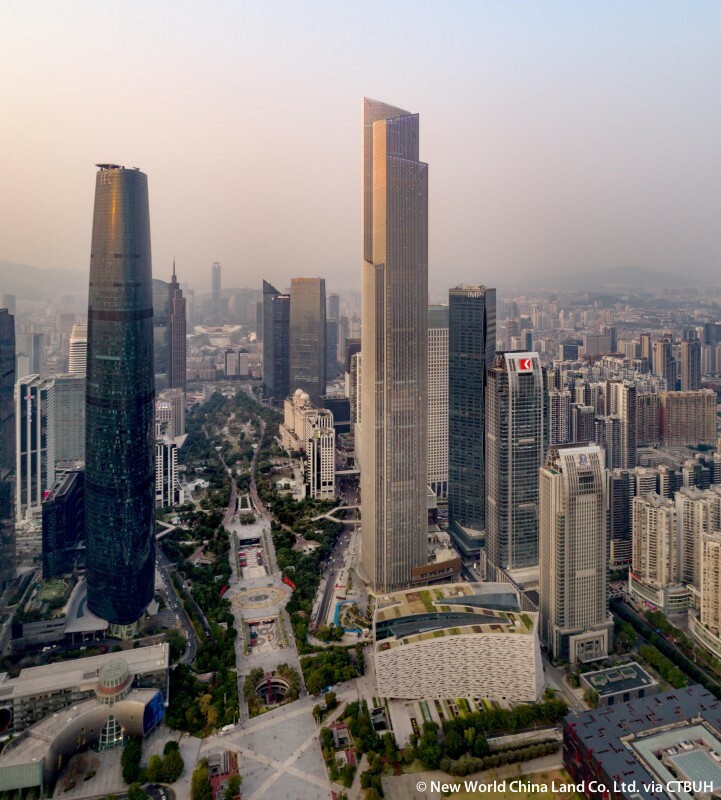 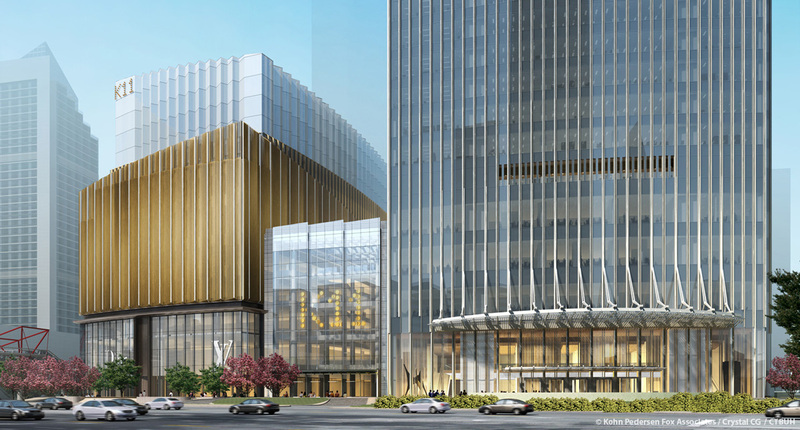 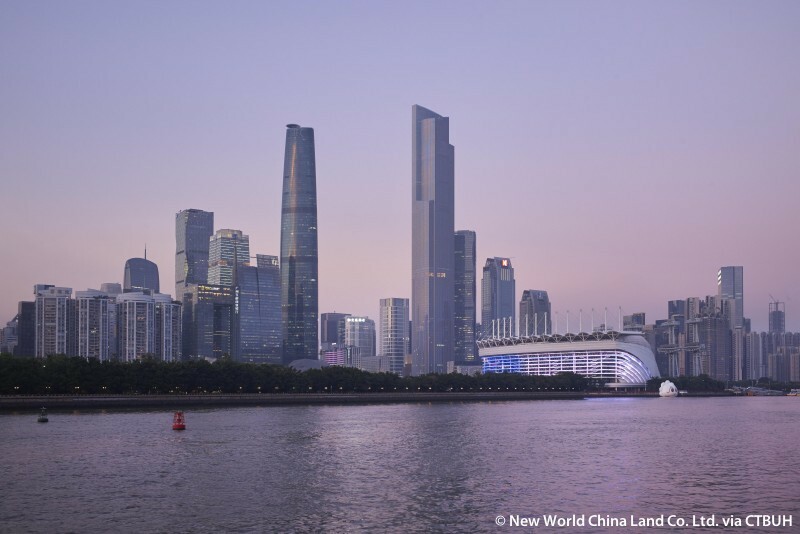 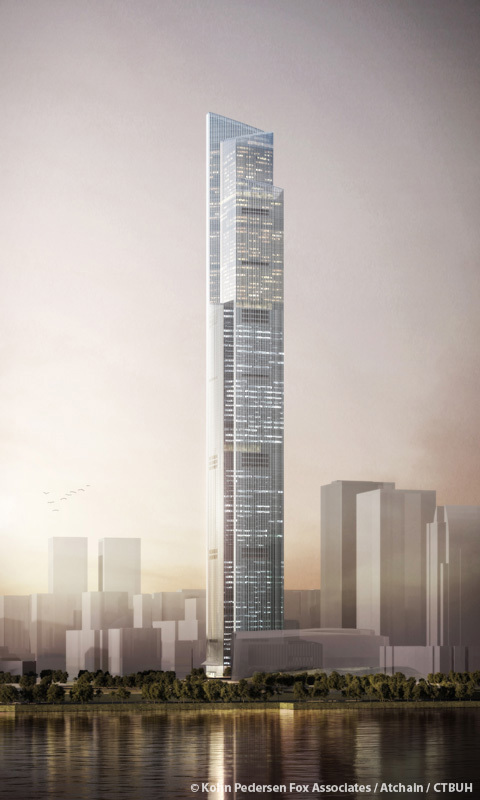 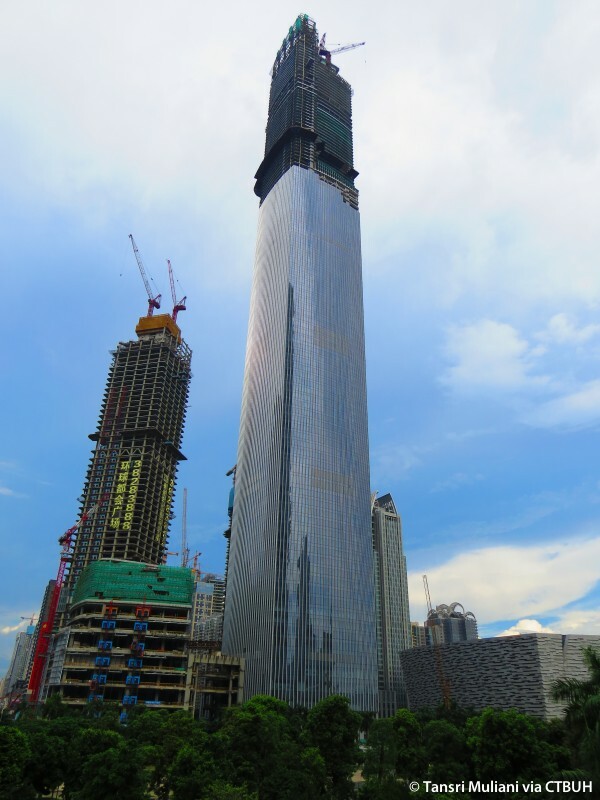 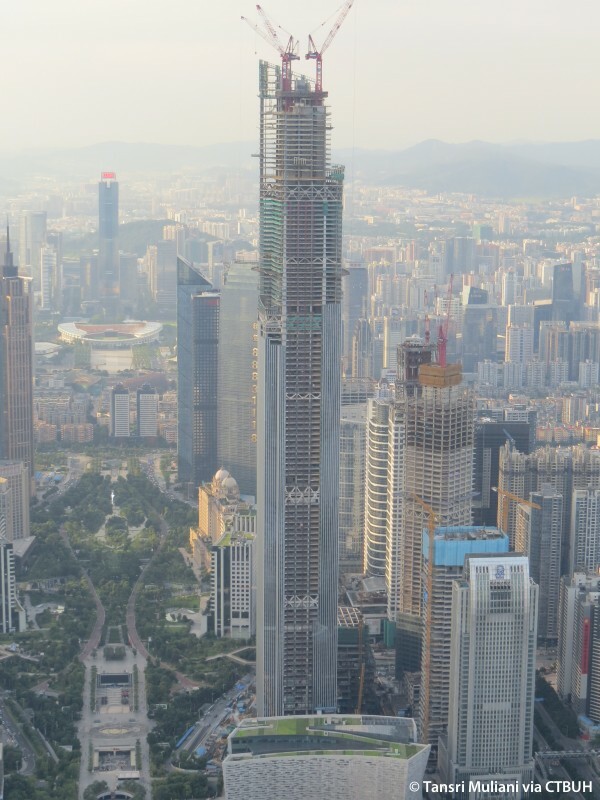 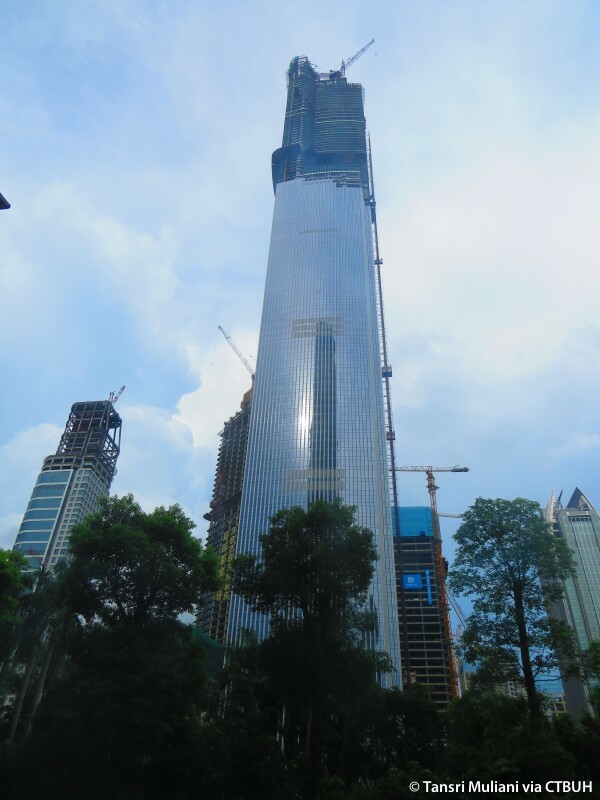 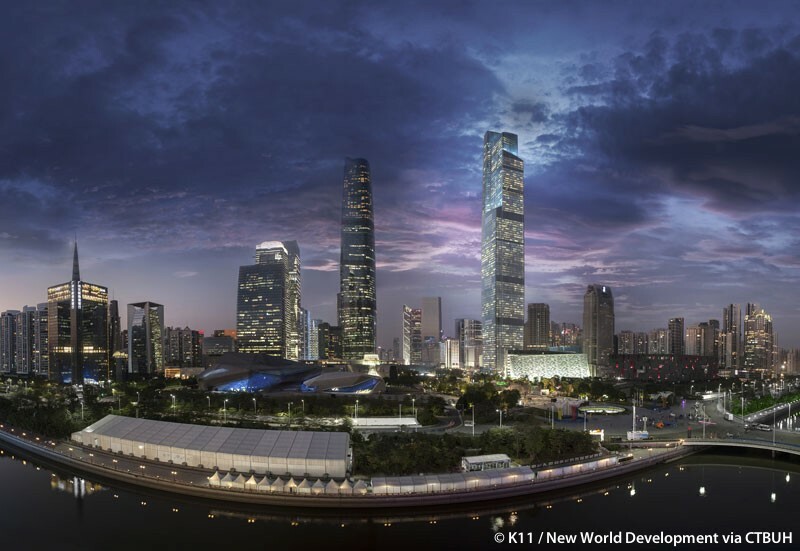 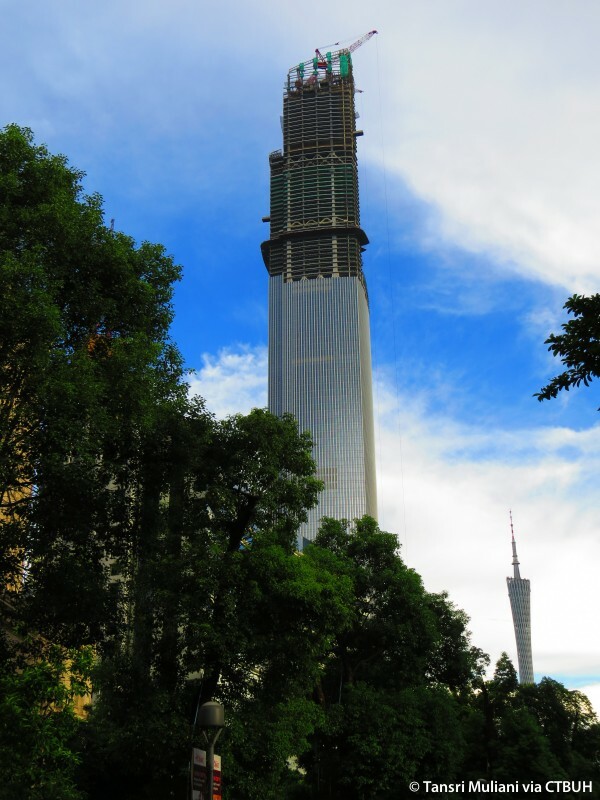 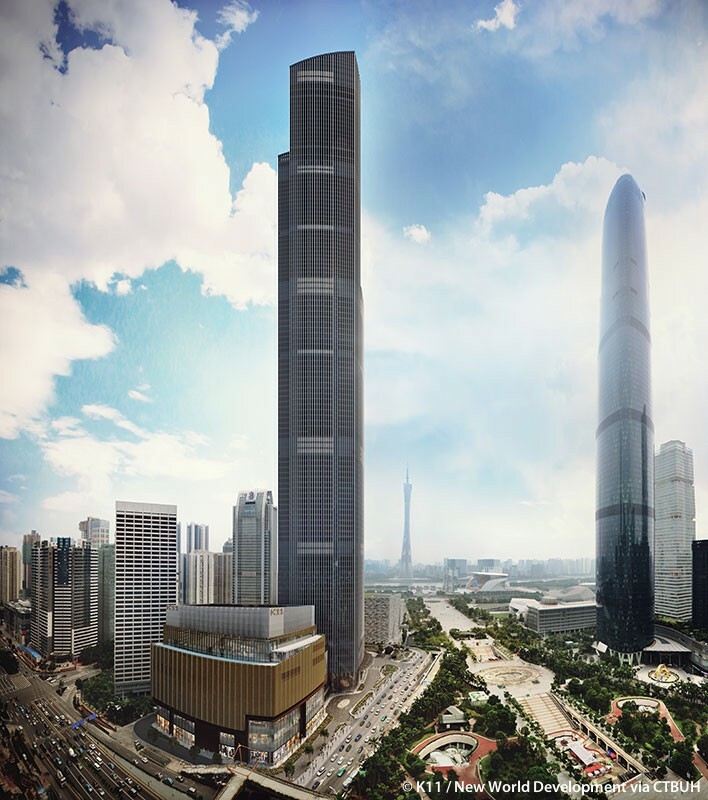 Developer	 Guangzhou Xinyu Real Estate Development Co., Ltd.
• Lighting	 Lighting Planners Associates;	Isometrix Lighting + Design, Ltd.
Guangzhou CTF Finance Centre is a mixed-use tower located across from Guangzhou International Finance Center and Canton Tower. 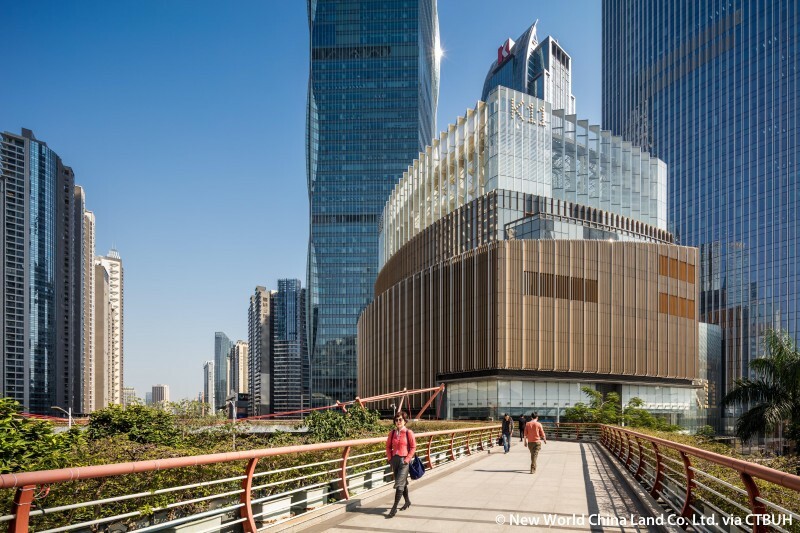 The project is adjacent to a large central park and a subterranean retail concourse with transportation interchanges, integrating the project into the city and the wider region. 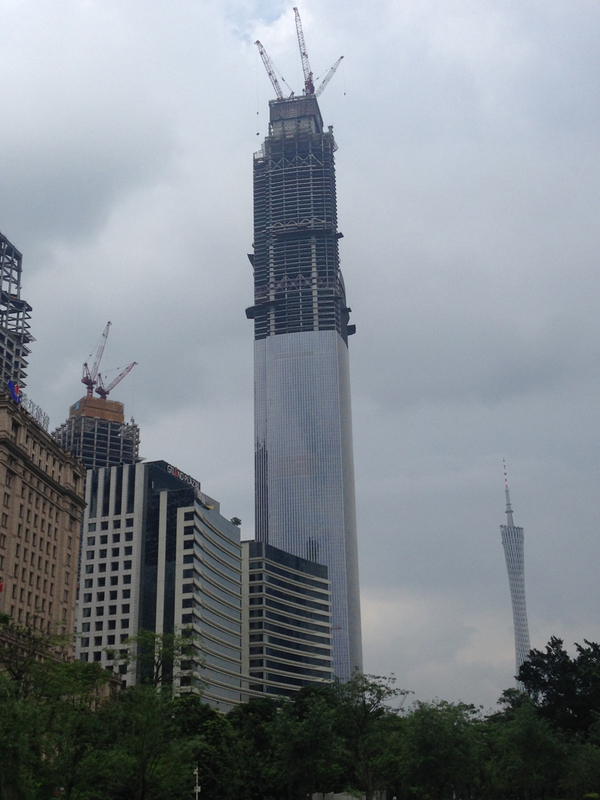 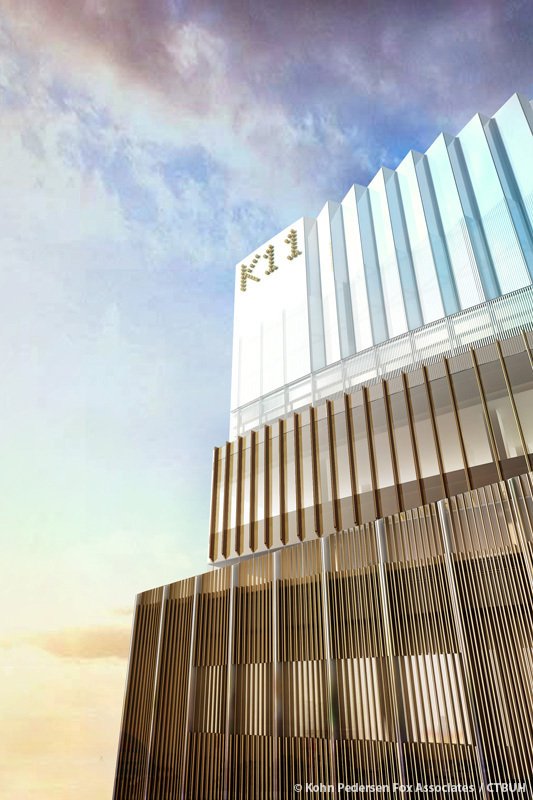 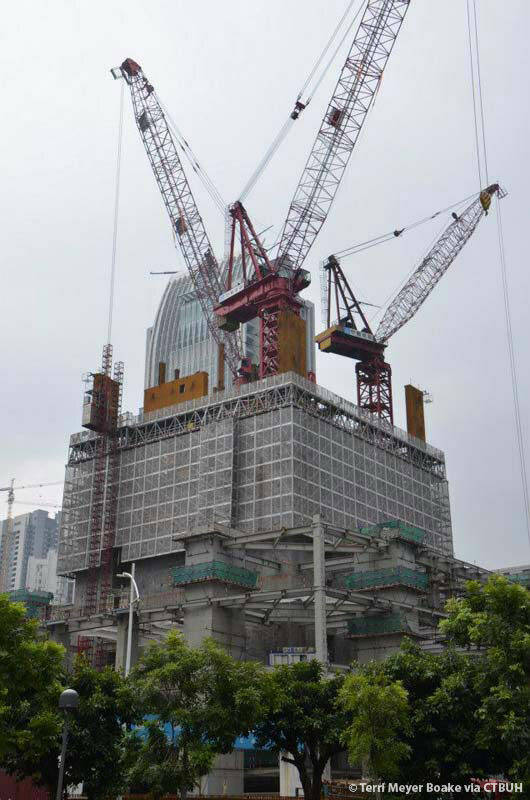 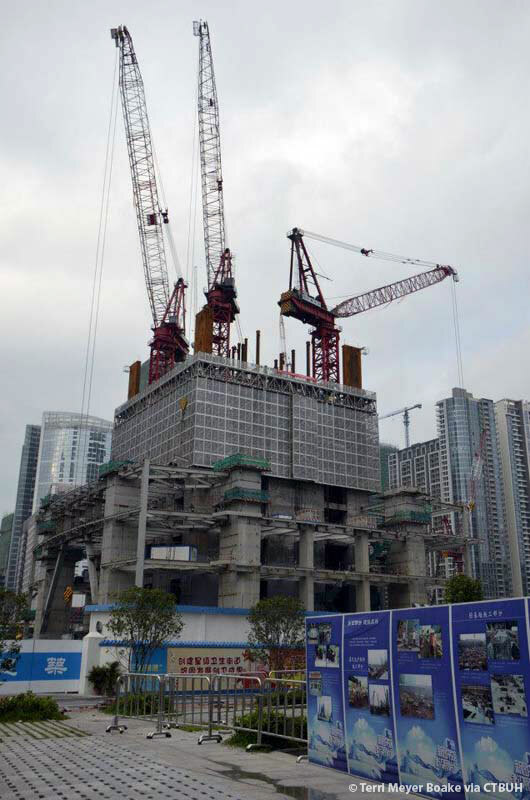 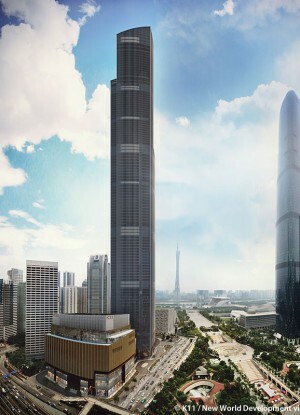 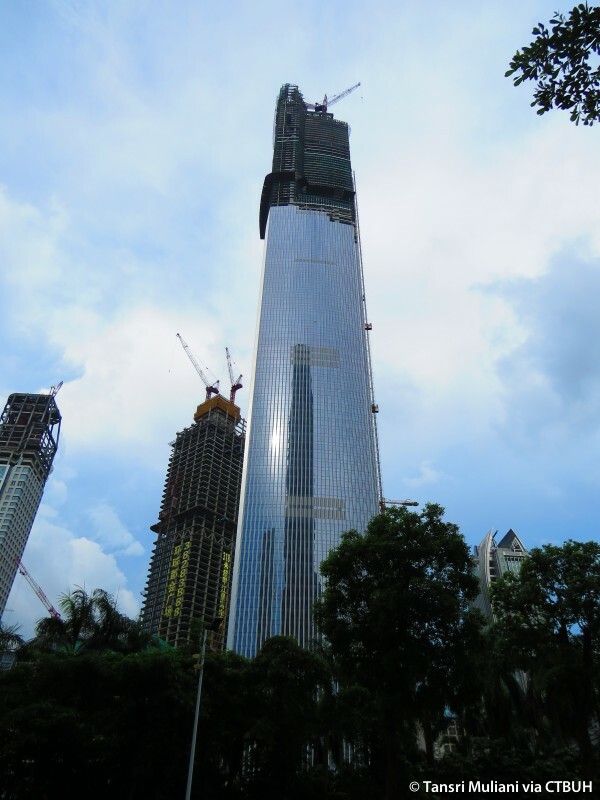 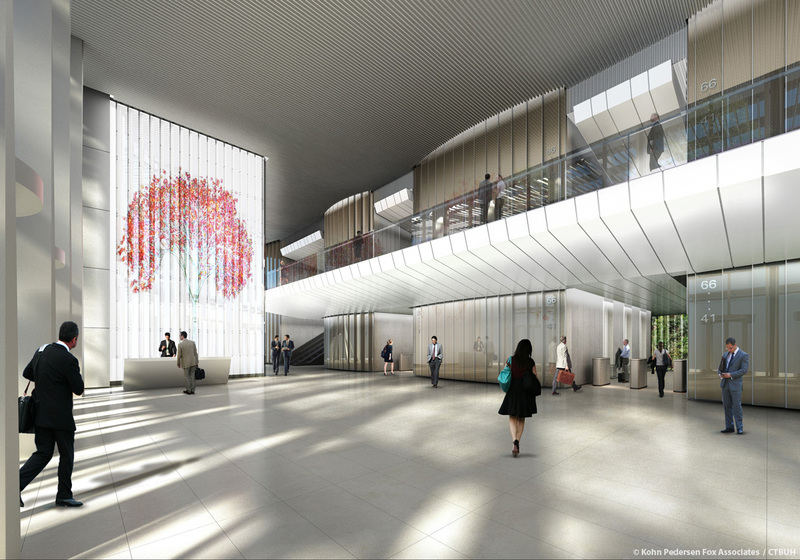 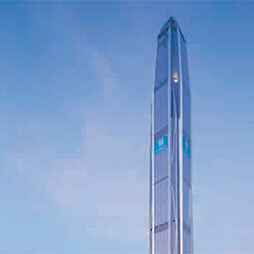 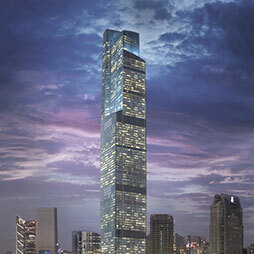 The design of Guangzhou CTF Finance Centre is derived from the efficient synthesis of its multiple uses. 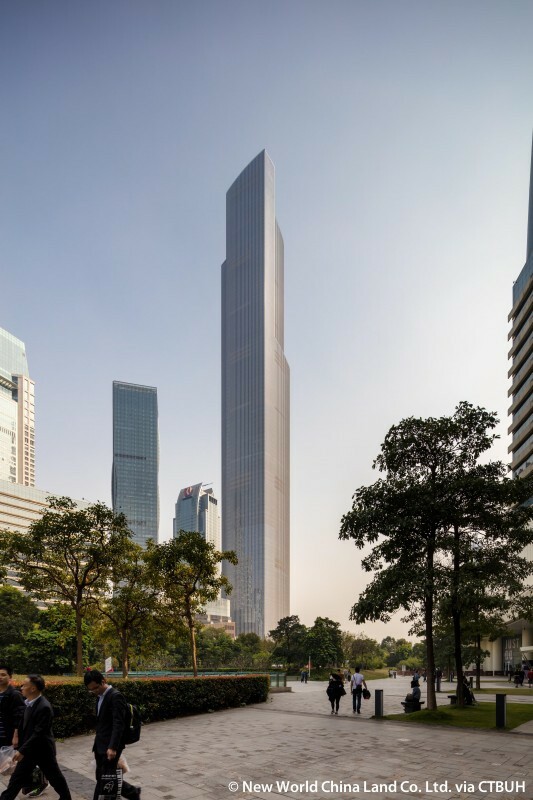 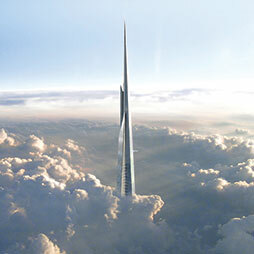 Its form is sculpted at four major transition points: office to residential, residential to hotel, hotel to crown, and crown to sky. 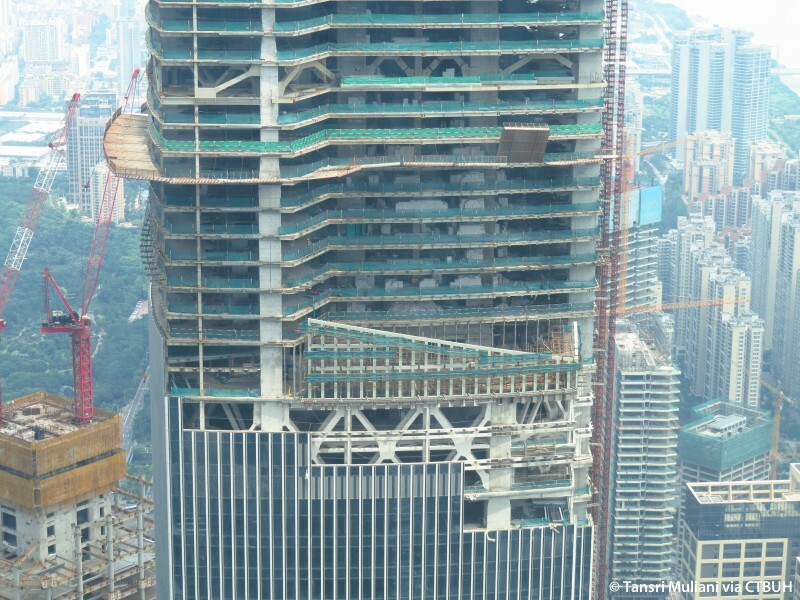 Instead of tapering to accommodate the smaller floor plates required for different programs, the tower steps back at four angled parapets. 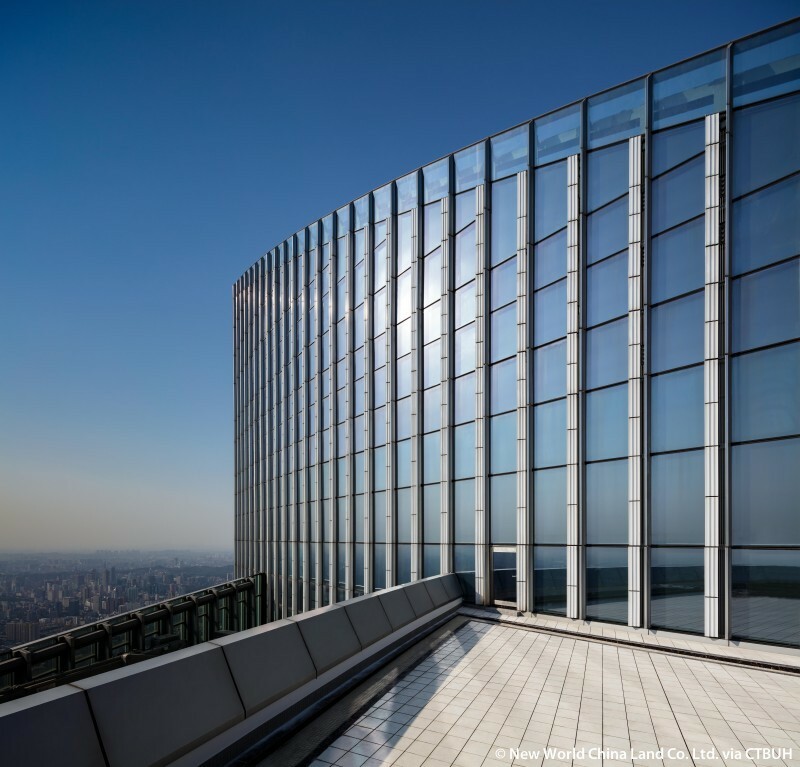 These four setbacks allow for lush sky terraces and dramatic skylights. 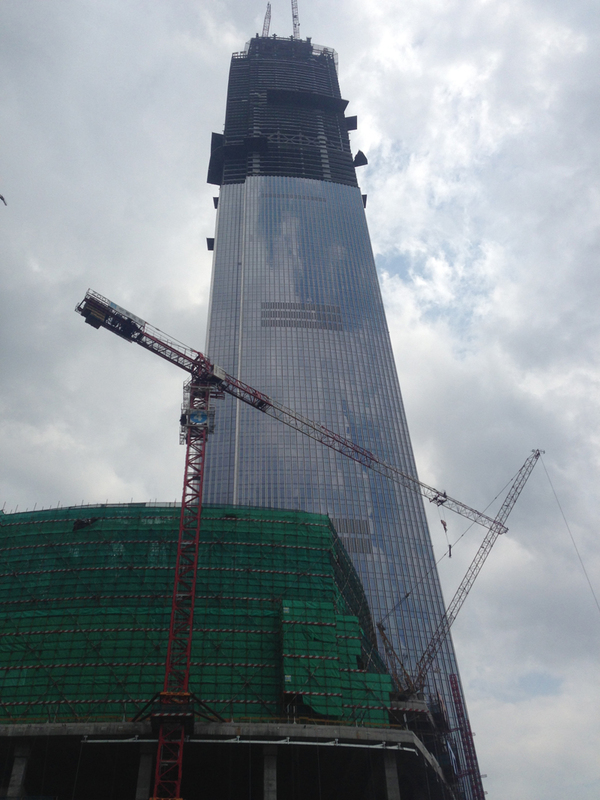 Careful attention was paid to the material selection for the tower. 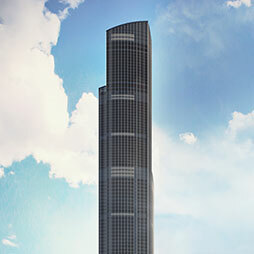 Thus, a series of subtle terra cotta mullions line the tower’s elevations. 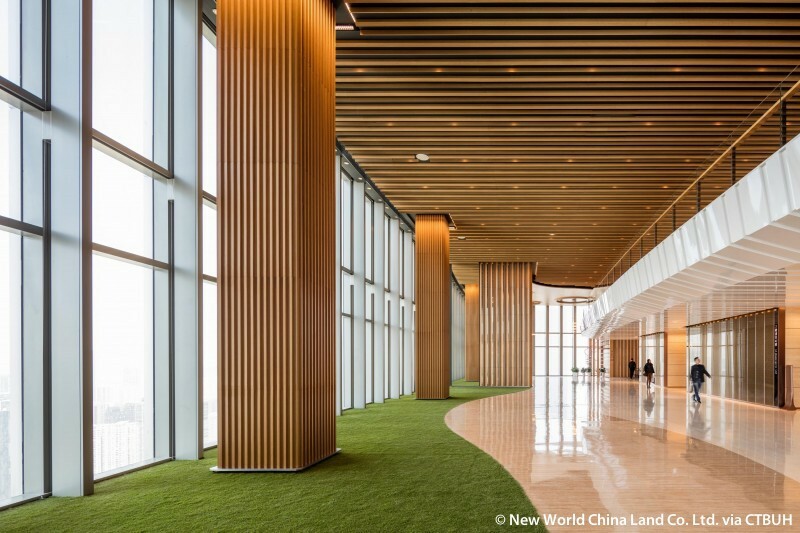 This material played a very important role in both Eastern and Western history, and is also beneficial from an environmental standpoint. 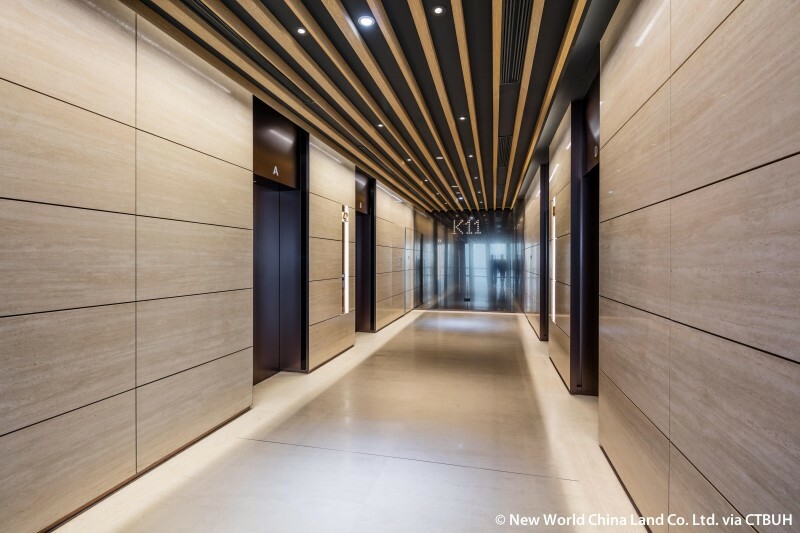 The embodied energy of terra cotta is far less than aluminum, glass, or steel. 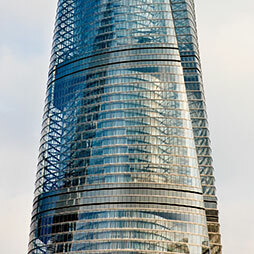 It is self-cleaning and corrosion-resistant. 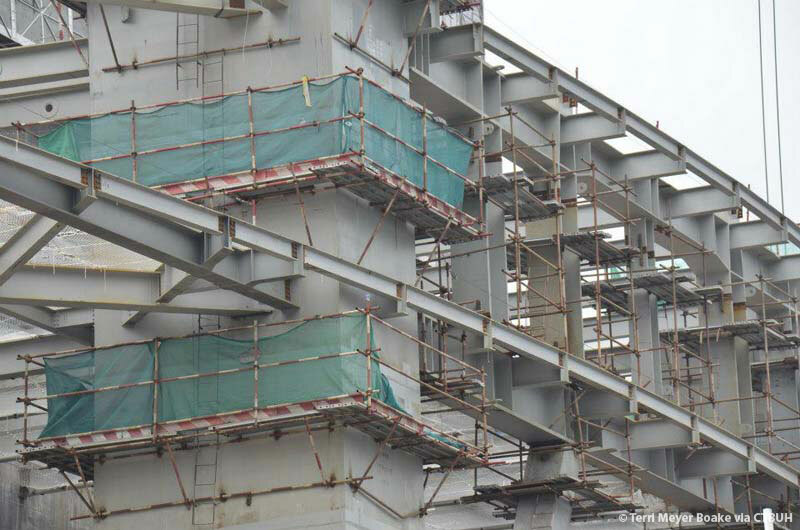 Moreover, it can be produced in many locations in China, reducing the environmental impact of shipping. 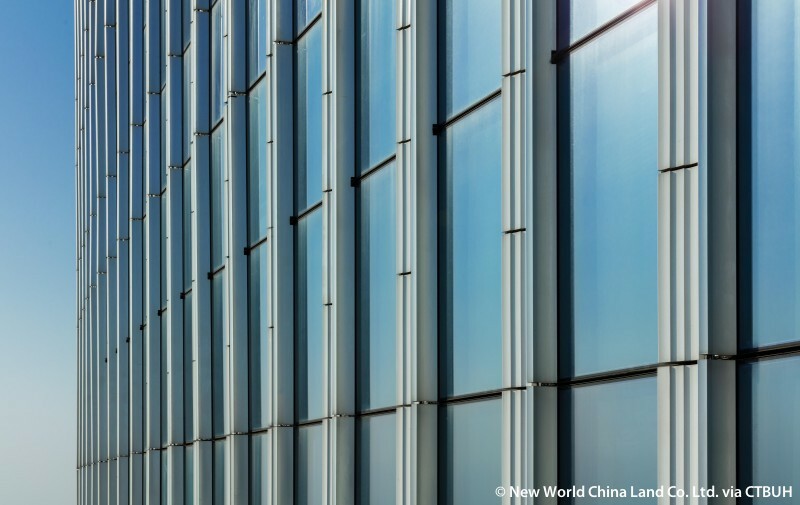 These terra cotta mullions were designed to project out from the glass on an angle to provide shading on the exterior. 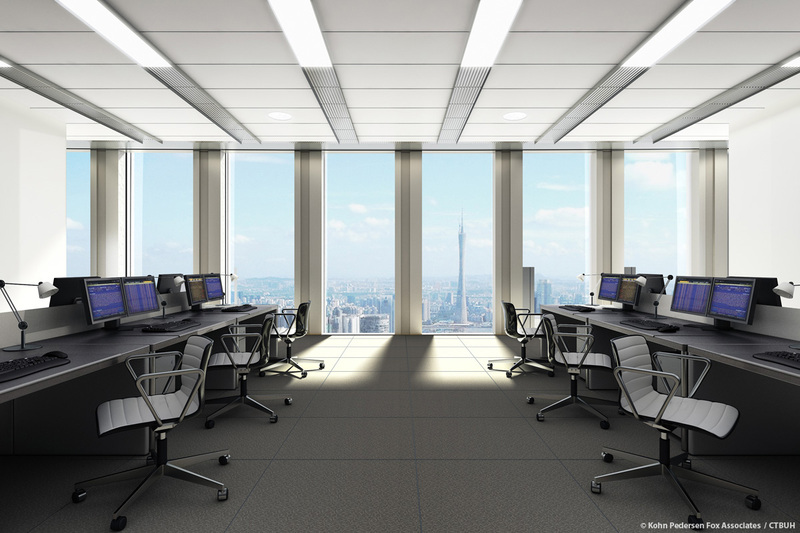 The building employs a number of energy efficient tools to reduce its environmental footprint. 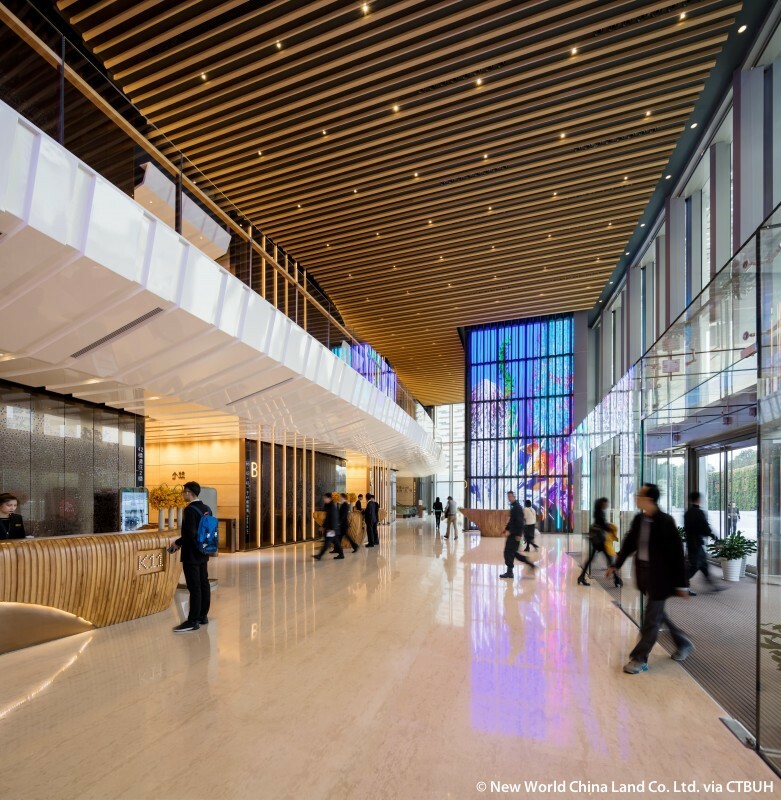 In addition to its strong multi-level connections to public transportation, the use of high-efficiency chillers and heat recovery from the water-cooled chiller condensers all contribute to the building’s sustainability.